The Abundant Entrepreneur, a division of Mind Movies, is a freedom-focused company passionate about helping you create and grow your own online business – one that affords you more TIME-Freedom & FINANCIAL-Freedom! 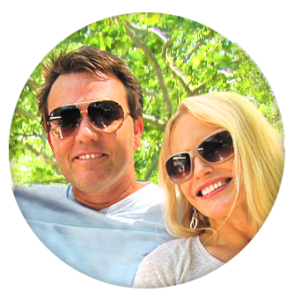 Co-owners Sabrina Truscott and Glen Ledwell have both enjoyed abundant success online growing their multi-million dollar companies. Join them on your journey to becoming an Abundant Entrepreneur and learning the best strategies to leverage the power of online marketing and grow a passion-based, freedom business! From her “down-home” country roots, Sabrina Truscott’s first entrepreneurial venture was probably when she started teaching dance at 14 years old. But her entrepreneurial journey truly began when she learned to translate her passion for joyful, healthy living into a health and fitness franchise. And many of the fitness clients who started out with her 20 years ago are still so blown away by how easy and fun she makes being in the best shape of their lives, that 20 years later, they are still right there with her. But wanting to help even MORE people, in 2006 Sabrina co-founded Satori Method, her first online freedom-based business, with her husband Tristan Truscott. Together they are able to serve tens of thousands of people around the world with energy healing and abundance consciousness. But Sabrina doesn’t represent the typical “business-person” viewpoint. Sure, she learned to run her own business and be a one-woman show, but she also gained extensive experience working in partnerships. 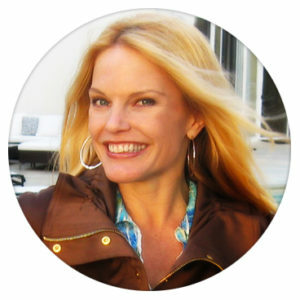 For instance, in 2009 she partnered with John Assaraf (from the hit book and movie The Secret) to establish her second online business — creating digital vision-boards for the iPhone IOS. In the last few years, Sabrina has helped create 8 online courses that have generated millions of dollars. In doing so, she actually discovered that one of her super-powers is in being able to aggregate a lot of information (that could potentially overwhelm people) and helping them EASILY digest it in the FASTEST time possible. Already familiar with creating online communities to help her students get the most of of the programs they invest in, Sabrina is currently bringing her magic touch to the Abundant Entrepreneur Facebook Community – providing amazing and insightful content for those looking for a little (or a lot) more freedom in their lives, specifically around those with time or money concerns that are looking to start (or level up) an “abundance-based” online-business. So many people have an idea of something that they have to offer – but they fall short, either in how to execute it as a business or in how to deliver their message to an audience or the confidence to get started. Well, that’s where Sabrina really shines! You see, Sabrina is able to bring her years of experience working as a performer, dancer and director to her entrepreneurs-in-training. So, in addition to providing fun and insightful, passion-based business tips – by pulling from the skill set she developed while working in theater, film and television, she is also able to help people deliver exactly the message that they want to deliver in exactly the way that it needs to be heard. And always devoted to continuing to learn and grow herself… Sabrina invites others along with her as she interviews today’s leading entrepreneurs on the BEST “abundance-based” online-business strategies out there! And not to mention her own cutting-edge ideas, tips and tools that she will be sharing with YOU to help you get the time and money freedom that you want! Glen Ledwell is a serial entrepreneur with a diverse background of experience. Starting his first business at 17 years of age, he’s since launched and sold half a dozen successful businesses in a variety of industries. He owned and operated a property development company, a coffee franchise, a nightclub, an event company, as well as started the first ever ‘in-bathroom’ advertising entity in Australia. Since 2007, Glen has been the co-founder & the CEO of Mind Movies, where he continues to be the driving force behind all the marketing strategies. Starting this personal development movement was what transferred Glen from the sunny city of Sydney to an even sunnier San Diego, California. Using a combination of relationship building and marketing acumen, Glen was able to take Mind Movies from zero to over $6 million in revenue within the first three years. To date, the Mind Movies personal growth products have positively impacted more than 2.5 million lives worldwide. A few years later, Glen also started another very exciting brand under the Mind Movies banner called Abundant Entrepreneur, where he has consistently taught people how to create their own passion-based, freedom business with the strategies and techniques he himself applied when starting Mind Movies! 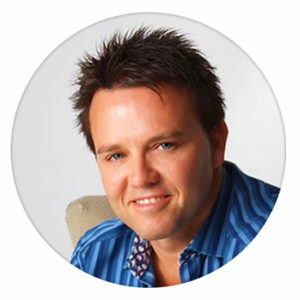 With Glen’s increased passion and commitment to teaching and mentoring other entrepreneurs, particularly in the personal development industry, he formed the highly acclaimed Flight Club Mastermind, an exclusive, high-end online marketing mastermind for top Internet marketing entrepreneurs. Today Glen spends the majority of his time in San Diego, helping new and seasoned entrepreneurs grow their purpose-driven businesses.